THE KAMIKAZE BIKE GAMES IS BACK for 2018 with some exciting new twists. The venue base moves to Main Lodge and events include: California Enduro Series/EWS Qualifier Enduro, UCI/USA Cycling Pro GRT Downhill + Amateur DH, the new MegaKami “Le Mans/Mass” style Kamikaze Downhill Race, The Boogaloo, an eDURO, a Kids’ Free Enduro Race (12 & under), Strider Race. On-site camping is now available at the event. Camp at Stump Alley Express/Chair 2 for up to five nights for just $60. There will also be a free movie night featuring the Redbull film North of Nightfall. No doubt about it, 2018 will be the most exciting year of the Kamikaze Bike Games yet. Learn more and register at kamikazebikegames.com. It all started with one man – Bill Cockroft. 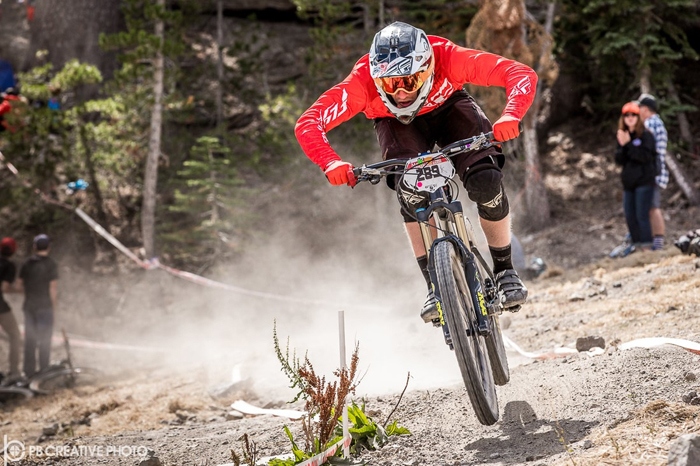 As a passionate cyclist, he wanted to bring bike racing to Mammoth Lakes. It was the mid-80s and cycling was very much in the public eye, thanks to the Oscar-winning film “Breaking Away,” as well as Team USA’s success in cycling events at the ’84 Olympics, which took place in nearby Los Angeles. Bill pulled out a pen, grabbed a napkin, completed some rough calculations and delivered the tally. Soon the napkin turned into a check and many volunteer man-hours later, a bike race was born. In addition to the Kamikaze and the dual slalom (another industry first) there was also a stage race, which is a multi-day road race. Mammoth was a regular on the international race schedule and the Kamikaze changed bike racing as we know it. The Mountain Bike Hall Fame acknowledged by inducting Cockroft in 1994, along with other bicycle visionaries – Ignaz & Frank Schwinn (yes,those Schwinns), Keith Bontrager, and Douglas Bradbury. A view of the Minarets from the mountain. 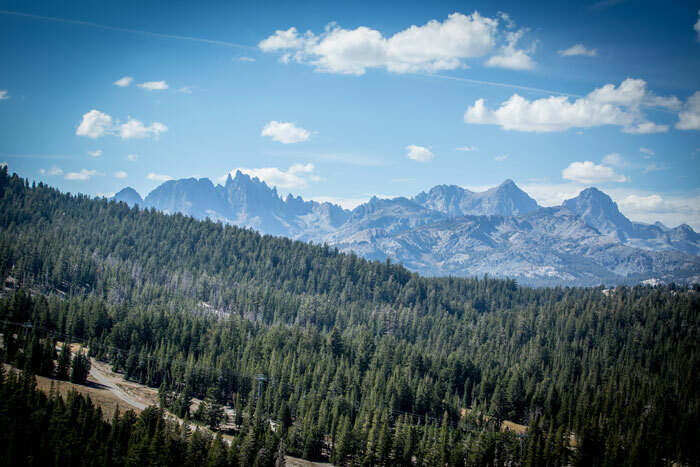 Family-friendly adventure is easy to find in the Mammoth Lakes area (Called To Creation).